Referenced as one of the first Riviera 1963 to be removed from the assembly on the first day of its production, the Silver Arrow show car was created as a classic Riviera, but it did not remain in this state well long. The father of the Riviera, William L. (Bill) Mitchell decided that a different version was to be created for exhibitions and fairs, and when she was not exposed during a show, he would take care to keep himself in good condition, using it as personal car! After completing the final inspection, the car flew to the Creative Industries in Detroit, Michigan to undergo changes. 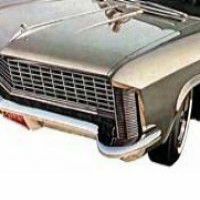 The Silver Arrow has a roof that has been lowered two inches, with a slightly elongated hood, front fenders modified, and a silver leather interior. 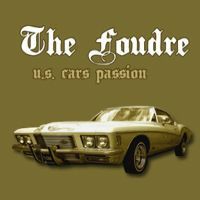 At first glance, it could almost pass for a Riviera 1963 standard, except for the front and an invisible part, the front was extensively modified an overview of the new features coming in 1965. 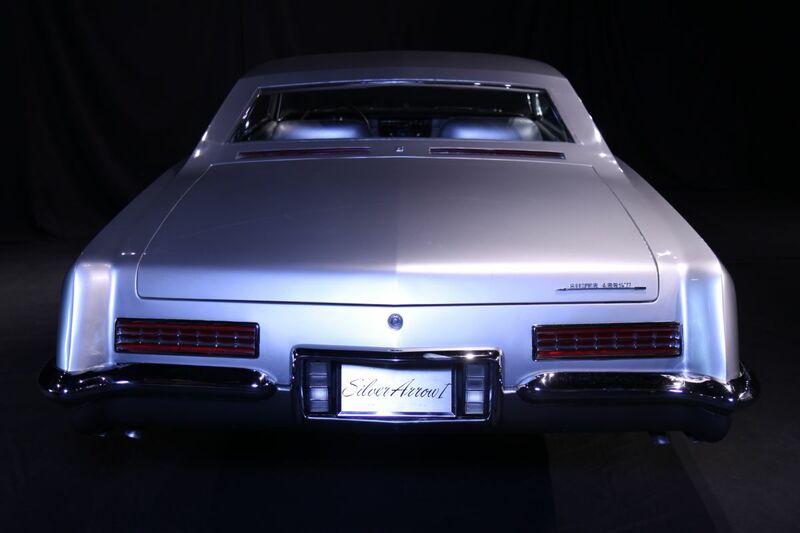 Originally, the 1963 Riviera was designed to have hidden headlights but it finally did in 1965. Engineers needed a little more time to develop, so that the Riviera 1963 and 1964 have been put on the market without them. 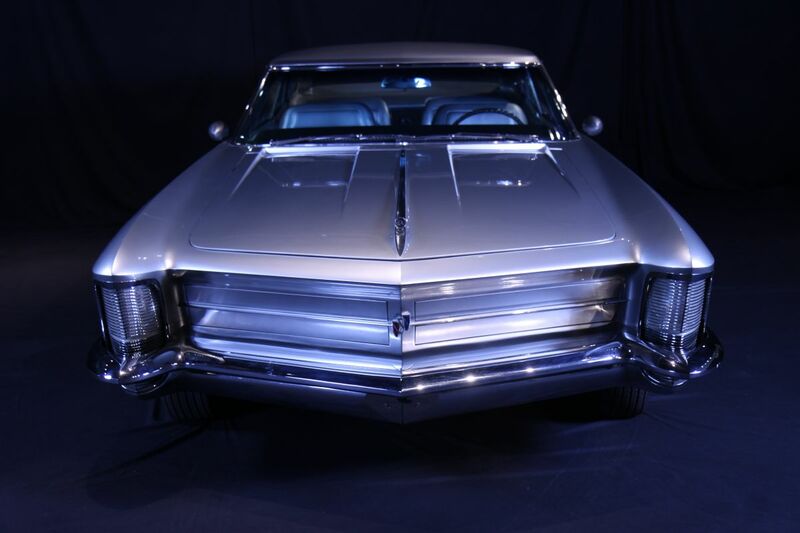 The original Riviera had two headlights mounted on either side of the grille, with indicators and parking lights hidden behind translucent screens on the edges of the front fenders. 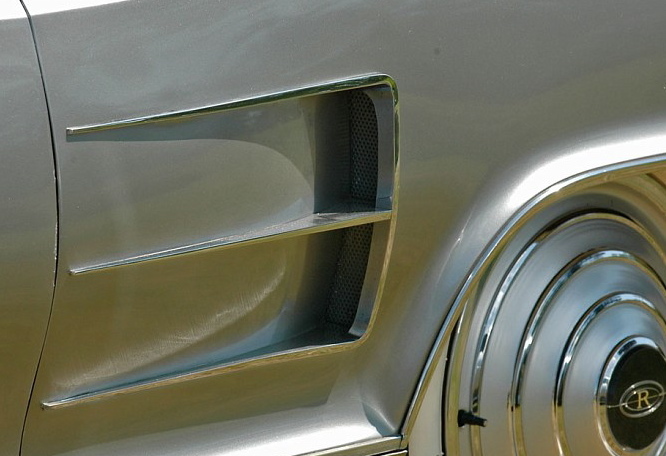 The Silver Arrow has been amended to remove the headlight grille, which were then replaced by panels matching the car body. The lights have been moved in the wings, behind bars. 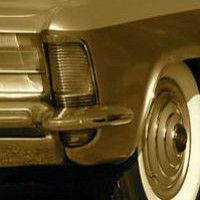 This involves then reposition the headlights and turn signals parking just below the front bumper. The cornering lights are on them simply been deleted. Finally, a system with two lights was used instead of the original four projectors. 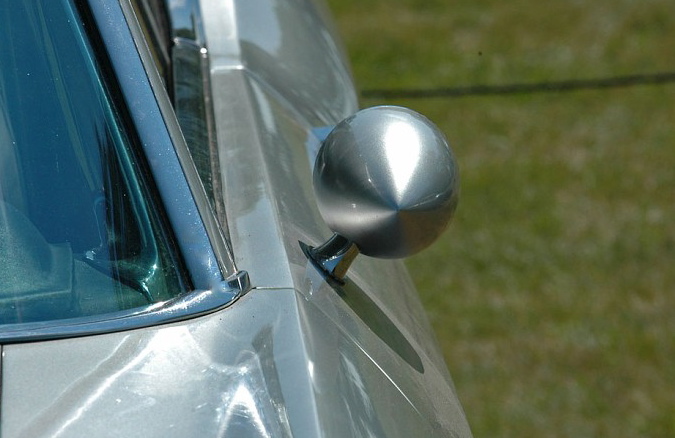 Type of sport mirrors shells, cut in the mass were mounted on both doors. 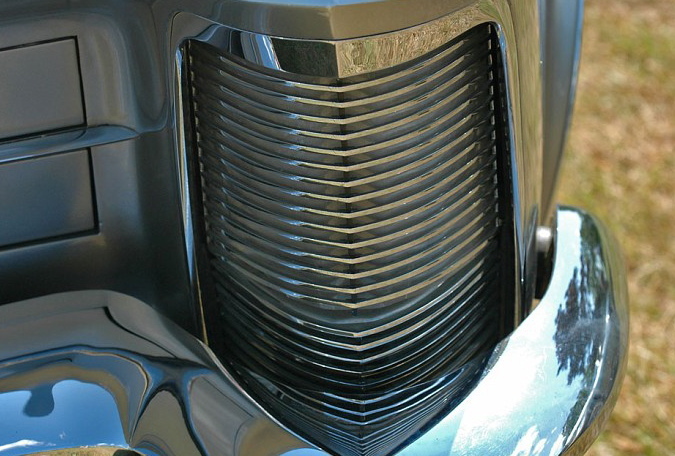 But one of the most striking detail is the addition of sails (covers) that are reminiscent of cars from the 1930s. Sail-shaped design of concentric circles, which were fully polished and fitted with a satin finish. They covered the wheels of the car but could be quickly removed to expose the sporty look of the past when you wanted. Mitchell was obviously filled with this car since it has led over the years, although he had access to almost all cars built by General Motors at the time. 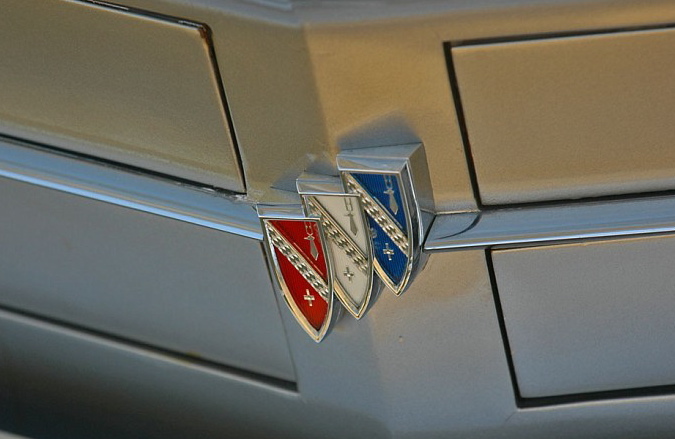 Riviera Silver Arrow 1963 original was subsequently called Silver Arrow I, II and Silver Arrow. A Silver Arrow III has also been constructed on the basis of the third generation Riviera (released 1971). 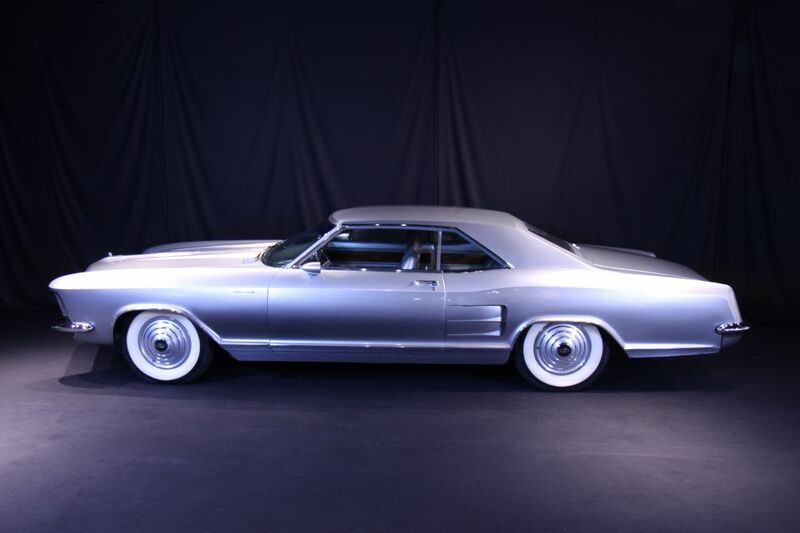 The concept car images, Buick Riviera Silver Arrow I, If you want to see the gallery ... click here.